"Thank you for thinking of me. 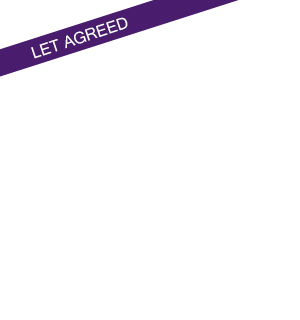 I will recommend you to others I know are looking to rent "
We work very hard to provide an excellent lettings experience for the Landlord and Tenant. Our fees are competitive for both landlords and tenants and we offer discounted rates for management of large portfolios. Prospective tenants are thoroughly vetted - we not do not operate a 'first come' approach but try to match tenants appropriately to the Landlords' criteria and the property, ensuring long-term satisfaction for both tenant and landlord. What an opportunity! A long-term available 3 bed house on the edge of Bradfield, fields behind, near the school, and to crown it all, pet owners will be considered. Parkview has all the features of a new house, including lovingly oiled worktop, stylish light fittings, futuristic extractor hood, nearly new heating, electrics, carpet, everything! All this in a house that's available for long term let. No pets. Great value rental and no fees! Call Concord now! Save £ hundreds!! What a charming house full of character in the heart of Wivenhoe. 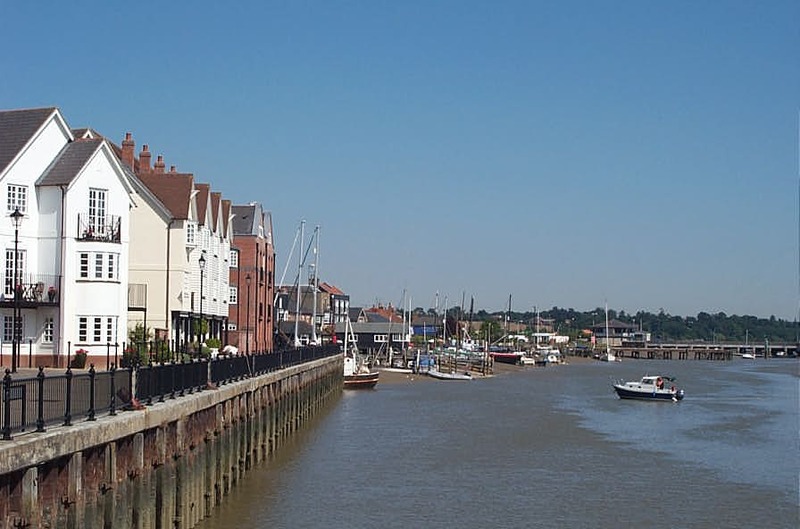 You're perfectly positioned for the estuary activities in the summer, events all year round, the old architecture and 5 minutes from the station. Great value 2 bed house in upper Wivenhoe. The landlady wants to keep the rent affordable and take on the best tenants possible, so if you like to look after your home, and are looking for a practical, long-term property, with parking and garage, call Concord Property now. Call Concord now before it's too late! This 3 bed house has just come on the market as a long-term rental. The owners have been living in it and recently refurbished much of it, so you'll be living in a fresh, clean, stylish house. Now they're moving away, so come and see if it's right for you! A unique opportunity of a lifetime to rent a 2 bed apartment with stunning views and heaps of character. You may never have another chance to live somewhere so exceptional. Call Concord to find out more! Great value rent for this excellent apartment in tip top condition 10 minutes walk to the station. 6th floor views of Central Park and the river Can from your own personal balcony. Ensuite and family bathroom, allocated car parking and secure bike storage. Call now to arrange to view. A fabulous opportunity to rent a long-term rental property on the market combining classic Victorian charm with modern decorative standards. This house has light and clean decoration inside, and has two double bedrooms, galley kitchen and fully enclosed patio garden. Calling all Students. Are you looking for a landlord you can trust, who'll fix things and treat you fairly? Are you wanting to secure your 2019/20 accommodation in good time? Looking for good value? Then call us now, and we'll tell you all about this 4 bed house in upper Wivenhoe. High PriceThe "Partridge Suite" is an absolutely immaculate, furnished flat, tailored to the highest specification and with capacity for wheelchair users as well. The entrance is shared with only two other flats, is very exclusive, and you won't find a better condition one anywhere. Victorian house in sought after area just a stones throw from the beautiful Mistley Quayside.The property has neutral colours & has been kept to a good standard throughout the last 3 year tenancy. Looking for house proud people to take good care of the property and make this house their home. Ground floor apartment, sitting/dining room with separate kitchen leading off the sitting room, bathroom with electric shower. Secure entry phone system. Communal garden area, allocated parking space. Furnished offices available at this high standard business park half a mile from the A12. Own entrance, ample parking. State of the art IT, lighting and security. Call Concord for further information. A house with light decoration, well-maintained in a practical location. The front door leads into the neat looking living room, and then through the dining room, if that's how you want to use it. The floor is wood, which is always nice to look at and gives the house a traditional, timeless feel. A wonderful opportunity, this single storey "flat* is deep in the heart of rural Wrabness village, equidistant between Harwich and Manningtree. Available long term, it's clean, simple and has a garden and parking as well. This is a detached bungalow pretty well in the centre of the village. There's parking off the road for at least one, maybe two, cars. There's a path along the side of the house leading to the long and easy to manage grass garden. If you think it's a lot to mow, don't worry, you can do it in half an hour, or we can arrange for mowing to be built into the rent (small supplement). A 3 bedroom family home opportunity with light decoration, clean and fresh feel. The real wood floors make it feel fresh and stylish. Carpets can work well in a house, but hard floors have a style of their own. And easy to keep clean! Well maintained, neat and clean, this flat is a new opportunity on the rental market. It's essentially a semi-detached building with the split being top to bottom, instead of side to side. As a consequence, this flat is ground floor, and has full and private use of the garden and parking. This house was built 4 years ago and is still in excellent condition throughout. 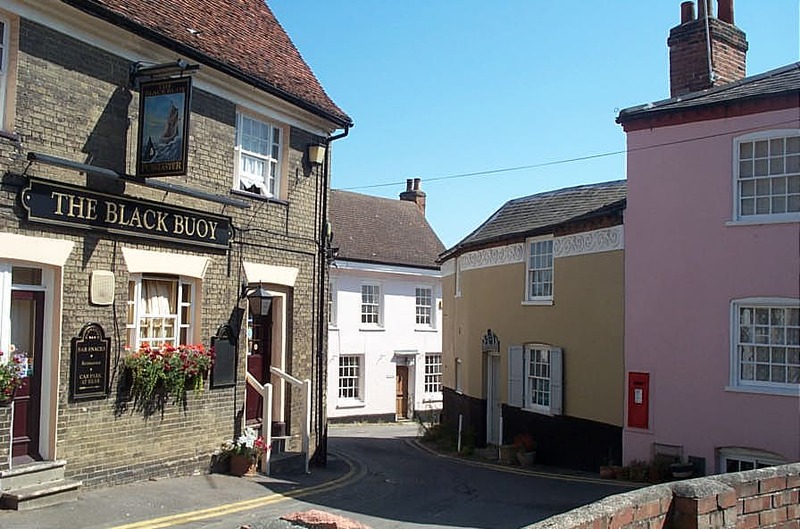 It is based in the rural village of Bradfield, near Manningtree. It has a separate lounge, kitchen / diner, en suite bathroom, main family bathroom. The enclosed garden has a patio area and lawn. There is parking for up to 4 cars. A fully equipped and well maintained apartment, with dishwasher, washing machine, fridge and freezer all integrated to sustain the clean, contemporary look throughout the kitchen. 2 double bedrooms one with en suite plus family bathroom all in contemporary decor. laminate wooden flooring and spacious open plan lounge/diner. Views over the estuary. A one bedroom furnished ground floor apartment a stone's throw from the station with direct links to London Liverpool Street. Clean and tidy and excellent value for post grad students or lecturers at Essex University which is a couple of miles away. A period house dating back 600 years in the heart of Wivenhoe. Accommodation is over 3 floors. There are 3 bedrooms a living and dining room, kitchen with gas cooker and courtyard garden. The two reception rooms are virtually square, 13' by 13' and 14' by 13' including a classic inglenook fireplace. The kitchen is 10'4 by 7'4 at the rear of the house. The two larger bedrooms and family bathroom are on the first floor, bedroom one is 14'0 by 12'6 and the second bedroom is 11'9 by 10'9. The attic bedroom with all the associated angles and interest is 10'7 by 7'8. Every room has a wealth of unexpected, historic, features. A small alcove her, a corner cupboard there, floorboards and four centuries of brickwork. A Victorian house in clean condition with both original and modern features. The living room, dining, kitchen and bathroom are average sized for the age of house, and the bedrooms upstairs are both doubles. The conservatory style ante room is very much a bonus giving additional light and warmth pretty well all year round. There's a courtyard to the back of the house with minimal maintenance needed. Parking is on road and manageable. New opportunity, long term rental opportunity for the right people! A clean, light, house, just introduced to the market by an investment landlord, in excellent condition, overlooking the Rugby field for those with a sporting interest. It has a car port, kitchen diner, and first floor living room. 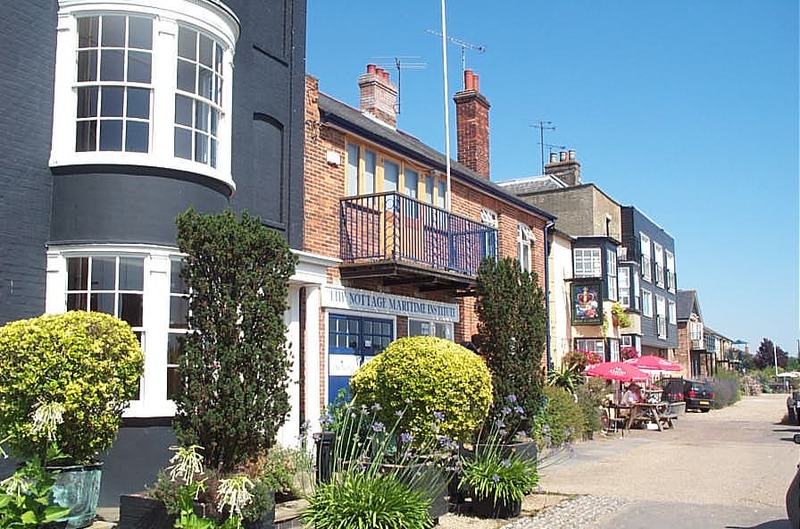 Charming character flat in the historic quarter of Wivenhoe. Fully furnished it comprises ground floor entrance to kitchen, upstairs bathroom, bedroom with Juliet Balcony, living room with study area in the eaves. View of River Colne from the balcony. Self-contained studio flat, with shower room, cooking facilities all within your own private space. A fantastic opportunity to rent a beautiful home with historical charm and appeal, just a stones throw from Ha'penny pier. The accommodation is over three floors with the kitchen and lounge on the ground floor, bedroom 1 and bathroom on the next floor and bedroom 2 on the top floor, with height restriction. You wont find another flat like this in Harwich. This is the sort of place that most of us dream about. Everything is brand new, everything insulated, the view across the bay is one of the most dramatic the town has to offer. Call Concord now and get to the head of the queue! Quirky 3 story terraced house in the village of Bradfield with local amenities including village shop and post office. Fully fenced garden decked area for table and chairs. Greenhouse and garden shed. Off road parking. 2 bedroom flat near the University, on a bus route and close to shops. Open plan living/dining/kitchen. Currently being redecorated. Semi detached house in a quiet cul-de-sac position in the village of Martlesham Heath. Close to shops and on the Route 66 bus route. What a find! A beautifully kept 2 bed flat tucked away in a small cul de sac of 6 properties set back from the A137. Easy for commuting, your own parking space, an excellent value rent, and a warm, cosy, flat. What more could you want? Enjoy low fees for early moving in this excellent town centre rental opportunity long term. Ideal for people looking for easy access to work. There is furniture available too, so easy and simple to move in. It's a responsible long-term landlord, keen to keep the house in good condition looking for like minded tenants who want to stay for many years without fear of sale. Rollo Estates are pleased to offer this two bedroom first floor apartment overlooking fields and with allocated parking and communal bicycle lock ups. There is an open plan living room and kitchen with integrated oven and hob. There are 2 bedrooms and a bathroom with shower with glass screen over the bath. The Location offers excellent access to Essex University and the A133 to Colchester as well as Wivenhoe train station with links to London Liverpool street. A rare opportunity to rent a truly unique house. Grade II listed, original beams everywhere, modern facilities and appliances available. Close to Manningtree town centre and just a mile from the train station. An immaculate cottage, with parking, long-term available. An investment with modern refurbishment and attention to historic features in the picturesque village of Dedham. If you are looking for a small, exceptional, rural retreat with easy access to the A12 and major towns, call us now. Coming Soon! 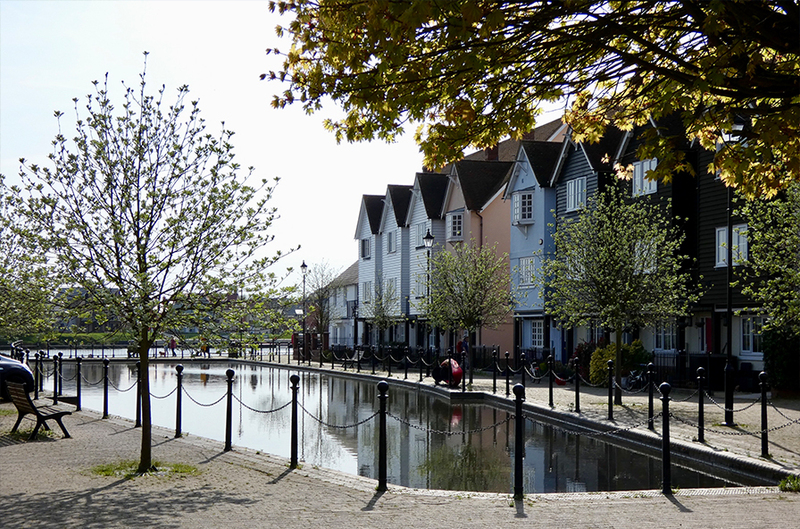 An excellent opportunity to rent a 2 bedroom flat on the Ipswich waterfront. Popular as ever for professionals the flat is available on the long term rental market. This recently purchased and decorated terraced house is now available. It has two comfortable bedrooms upstairs and feels light and airy inside. Both rooms can accommodate double beds. The separate living and dining rooms are open plan, with kitchen, and the bathroom with shower, also on the ground floor. The garden is a good size, plus a patio, laid to lawn and a shed available at the back. In excellent condition this 2 bed property within a quiet part of Kesgrave, the ever popular area of East Ipswich. Long term investment house owned by a responsible landlord. Fully employed only, not self employed. No pets . A rare chance to rent a clean, excellent condition detached bungalow at the end of a quiet cul-de-sac on the edge of Clacton with its own garden, garage and parking. Recent new bathroom, carpets and decoration. Pet owners considered. Would suit commuting professionals. The flat is very practical with a long open plan living room, both bedrooms are easy doubles, and there's plenty of storage cupbards. The shower room has a larger than average shower in it, no bath. The flat is above a hairdressers, so no evening activity there, and access to the entrance is round the back Parking is easy and adequate. The outside of this house has just been repainted, the bedroom carpet will be replaced, any new decoration will be done between tenancies, and the back gate will ge repaired. There are houses only on one side of the road along Cherry Tree Avenue. The houses face a line of mature trees that back onto open fields which gives a sense of rural space. Great value brand new flat in a high spec, small scale development. Staggered deposit if needed. Built to high standards. Immaculate. Allocated parking. Under floor heating. Excellent location for commuters. 2 bed apartment in this exclusive block. Under floor heating, open plan living/dining area, exposed brickwork, en suite bathroom to master bedroom, allocated under cover parking. The beauty of this flat is the sense of space and clean lines, thanks to the spacious living kitchen area and wood look laminate flooring throughout. The under floor heating in this room is a special feature and having an ensuite shower room, separate bathroom, storage and allocated parking makes it very practical. The flat is on the first floor of the Free Rodwell House Maltings conversion. Available for a long-term let. This charming Victorian terraced house has just been completely redecorated inside, and has two double bedrooms, galley kitchen, downstairs bathroom and patio garden. This Victorian cottage, built in 1857 in picturesque Higham, just a couple of miles from Dedham, is only a few yards from the bank of a delightful twisting section of river. Farmhouse style kitchen, upstairs bathroom, off road parking. Pet owners welcome. Character property right on The Green with an open plan living dining room, highlighting original features, with a modern requirement of a feeling of space. The kitchen is a galley at the back leading through to the courtyard. The bedrooms are both doubles, with the main bedroom being a larger than average size for the size of house. Available from Easter onwards for short lets. An idyllic, fully furnished, two bedroom cottage in Dedham, in immaculate condition and has its own parking. It's Ideal for people between houses or during house renovations as well as being a holiday cottage. Long-term rental property available. Ideally suited to mature couple with no pets or dependents. Parking, garden, 3 bedrooms, electric heating. Located on the edge of Bradfield with beautiful country views front and back of fields and the estuary. Good sized family home with a large living room, open plan dining / kitchen area, garden with patio area, single garage and off road parking for at least 2 cars. What a find! A big old farmhouse, with large garden, gas central heating, parking, and pets negotiable on the edge of Great Oakley. Features include a wood burner in the living room, a gas 'Range' style cooker, separate living and dining room. Fully insulated and double glazed. The Rose Gardens development is just off the main road into Dovercourt was completed in 2017, with this house being finished just towards the end of 2016. What a find! Village location, detached bungalow, well positioned for Colchester, Wivenhoe, Manningtree, Ipswich, London. great garden, loads of parking, 2 double bedrooms, large kitchen, pantry, oil heating, freshly decorated, new carpets. Great value 4 bed detached house with enormous garden, separate living and dining space, conservatory, 4 double bedrooms. Refurbished and available quickly. Large detached house with 4 double bedrooms, 2 bathrooms, large lounge with working fireplace. Kitchen/diner and enclosed garden. Off road parking. The owner will consider pets. 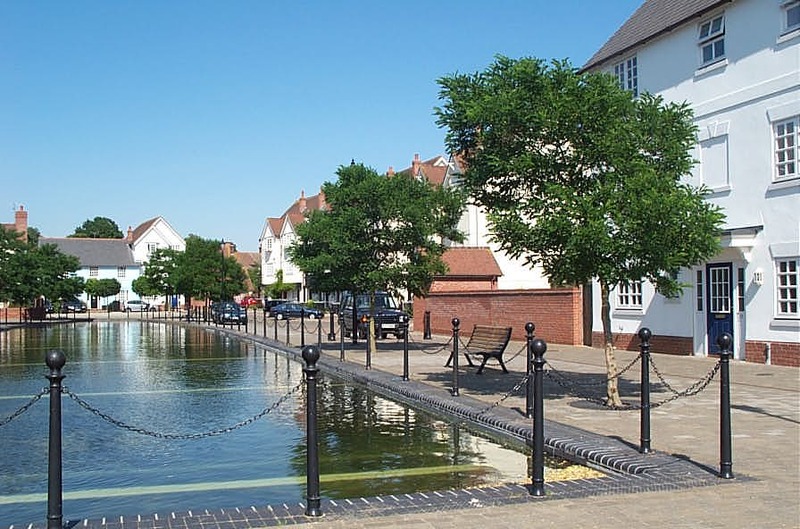 This property is marketed by Concord Property in Mistley and Rollo Estates in Wivenhoe. Situated in a popular, sought-after area this two/three bedroom, modern home has become available for immediate let. The smaller of the rooms would make a study room or a perfect cot/toddler room for any young additions to the family. Anyone seeing this house is bound to want to move in if the size works for them. Call Concord now. Freshly painted, cleaned carpets, long-term, 2 parking spaces, 3 storeys, separate living and dining areas, ensuite and separate bathroom, and perhaps best of all, Pet Owners Considered! A beautiful modern house in the village of Worlingworth in Suffolk. The downstairs accommodation has a study, cloakroom, lounge, dining room, kitchen and utility room. Upstairs has 2 single and 2 double bedrooms - one with en suite shower room and family bathroom. There is a drive with parking for several cars as well as a double coach house. The property is available from the end of August. 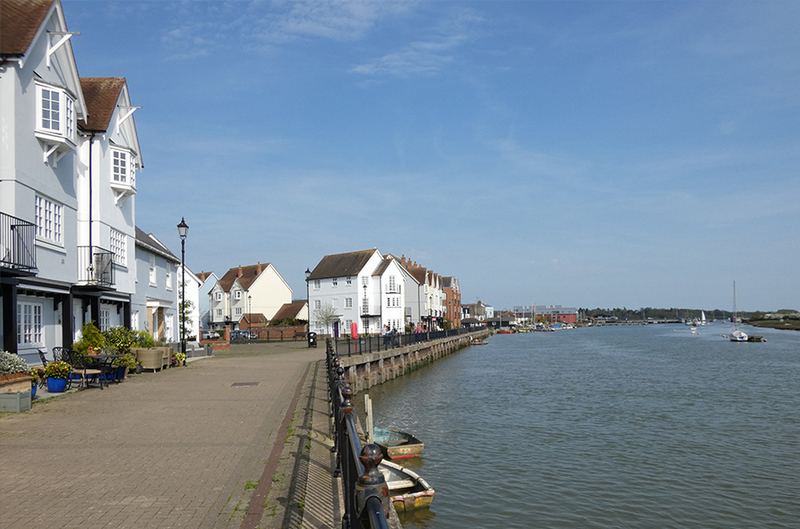 A wonderful opportunity to rent a long-term 3 bed rental house, just round the corner from the Quay in the ever popular Wivenhoe. When the development work was done on the road known as Shipwrights, this house was one of the few whose original structure was retained, so the modern construction could be built around the beams and high ceilings of the existing building. This way, the character and charm of an old Victorian house has been preserved, whilst clean lines and modern styling has brought the house into the 21st Century. A really nicely decorated family home, now available long-term on the rental market. The landlady has had the house painted from top to bottom, and the carpets have been replaced in a popular neutral grey. The four bedrooms and upstairs shower room are various in shape and size. The living room is long and open plan with a useful ante room for either a dining room or play room. The garden is a size that allows for not too much maintenance, but comfortable for a family barbecue. There's a garage for one vehicle, and a parking space in front, as well as unrestricted parking on the road. The apartment, in the approximately 14 year old development of The Limes, is about a quarter of a mile downhill from the high street. You have two of your own parking spaces, so you never need to drive and park in town, and you are literally living around the corner from the Ingatestone station platforms to all trains north and south. If you are a regular commuter, this alone will save you around £1,250 a year. Rollo has a comprehensive team of skilled and trusted tradesmen who can respond quickly to all maintenance jobs in a courteous and professional manner. As a result we can also provide an independent maintenance service in addition to the property management as part of the lettings service. We can provide quotes for jobs big and small and we know they will provide an excellent service at reasonable rates. Types of work undertaken: plumbing, heating, carpentry, decorating/painting, fencing, garden maintenance and clearance, carpet laying, all types of handy man jobs, shed erection/dismantling and cart away, etc.